tip one: several recipes in the book, such as ROSE’S heavenly CAKES: Golden Lemon Almond Cake (page 37), call for toasting nuts. my preferred shortcut is to use the same cake pan for the cake for toasting the nuts. when done, do not wash the pan, so traces of nut oil help the pan’s non-stick properties. my mother used to always tell me, never wash a cake pan the same day you are using it, she meant to say: too clean a cake pan sticks the most. tip two: toothpick test? cake pick test? cake tester test? instant read “tip” thermometers are widely available nowadays, most inexpensive and accurate. 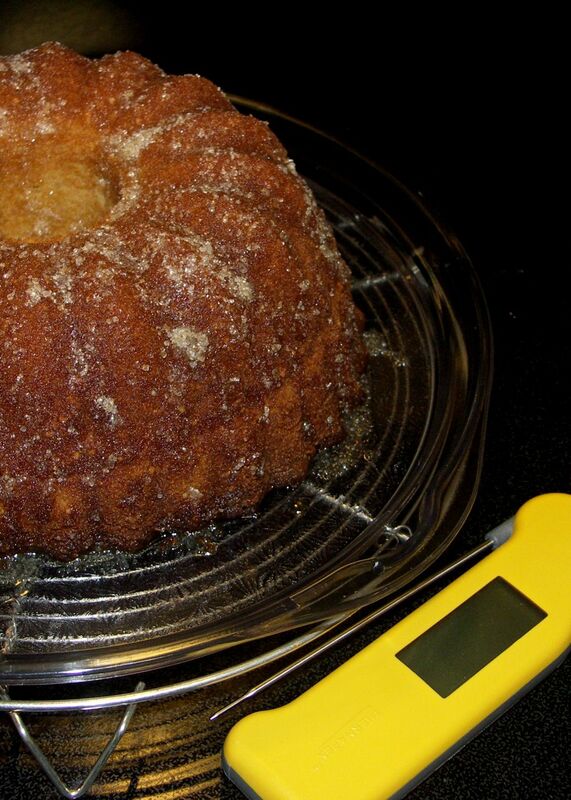 instead of using the traditional cake tester test, use a “tip” thermometer instead. for most cakes, the temperature should register between 195 to 205 oF (or 147 to 160 oF for cheesecakes), when inserted on the middle of the cake without touching the cake pan. Love the tip to toast the nuts in the cake pan- hadn’t thought of that! 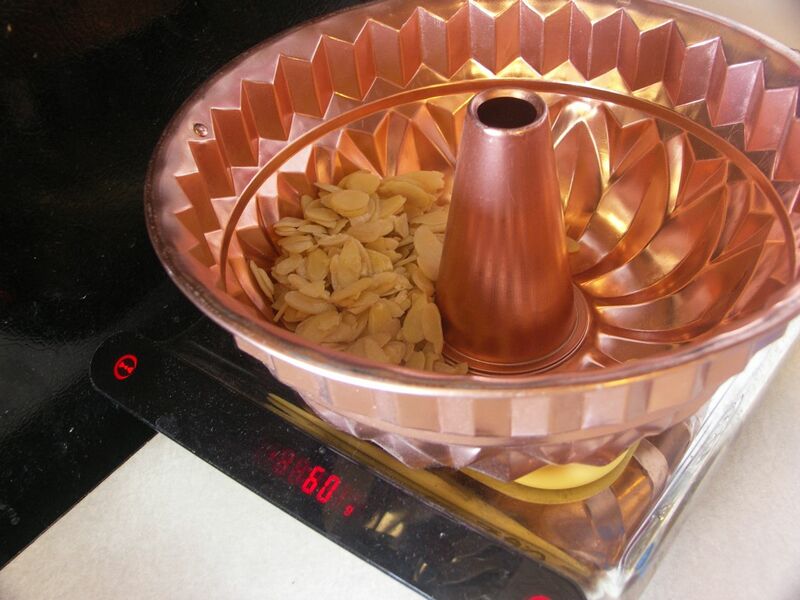 J, oh, in fact, when I weight the almonds, i use the cake pan as the weighing bowl. And if I prep ahead I just wrap the pan with stretch- tite. I often re -use cake pans the same day and have no problems with sticking. What I do is once the pan is washed I dry it in a hot oven and then cool it and prepare it as usual. I think you idea of toasting the nuts in the same pan is a great one especially because it saves time and dish-washing!! P, it is also called survival. my kitchen is only a handful of sq ft in area! Hector- brilliance strikes again! You just saved me washing (or at least rinsing) two dishes! J, u r welcome. But pls do take all my advice as experimental. I am not qualified to write laws….. yet!